Home / Clothing / Medal Holders! 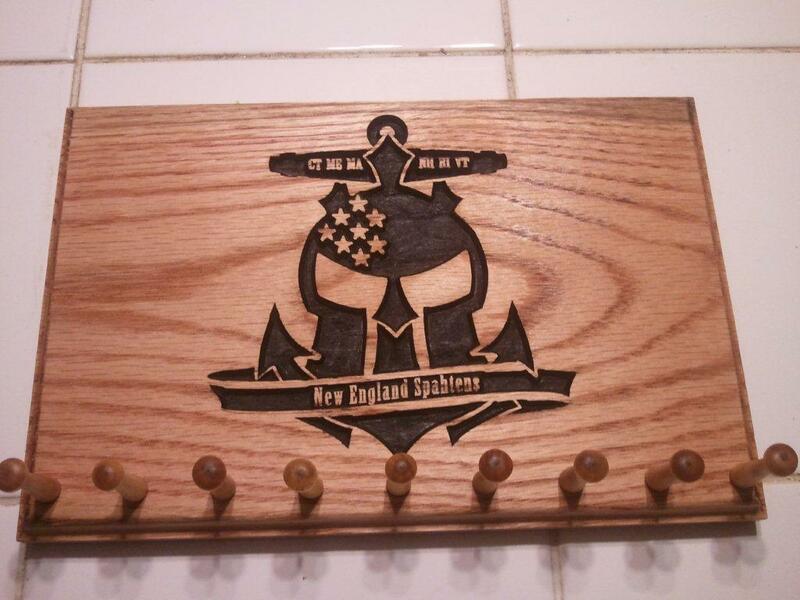 Medal Holders are available for order – only $30 shipped direct! These handsome wall plaques are 11″x7.25″ and made out of oak. The logo can be painted and then the wood is stained and sealed with two coats of poly. These can be ordered through the Team Gear page – please use the notes to tell us if you want 5 or 9 peg options, and what color you would like the logo to be painted (any color is fine). They will be shipped to you directly from the manufacturer – easy! Next post: No free Super for you!